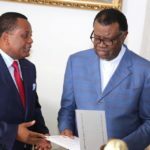 Pictured: Mr. Jean-Claude Gakosso, Minister of Foreign Affairs, and Special Envoy of the president of the Republic of Congo, delivering a personal invitation to President Hage Geingob during a courtesy call at Statehouse on Sunday. The President of Namibia, Dr. Hage Geingob, in his capacity as the Chairman of the Southern African Development Community will lead a delegation of heads of state and government at a special joint summit called to urgently intervene and to prevent further rise in tensions and possible violence in the Democratic Republic of the Congo. According to a statement by the Namibian Presidency the Joint Summit with the International Conference on the Great Lakes Region (ICGLR) and the SADC will take place in Brazzaville. Delegations to the special summit will discuss the situation in the Democratic Republic of the Congo ahead of that country’s general elections scheduled for 30 December 2018. The Joint SADC-ICGLR Summit will be hosted by the President of the Republic of Congo Denis Sassou Nguesso in his capacity as Chairperson of the ICGLR in Brazzaville. Circumstances surrounding the postponement of general elections in the Democratic Republic of the Congo need urgent intervention to prevent a further rise in tensions and possible violence. In this regard Jean-Claude Gakosso, Minister of Foreign Affairs, and Special Envoy of His Excellency, Denis Sassou Nguesso, the president of the Republic of Congo and Chairperson of the International Conference on the Great Lakes Region (ICGLR) at State House paid a courtesy call to President Geingob to invite him personally to the special joint summit two days before Christmas. 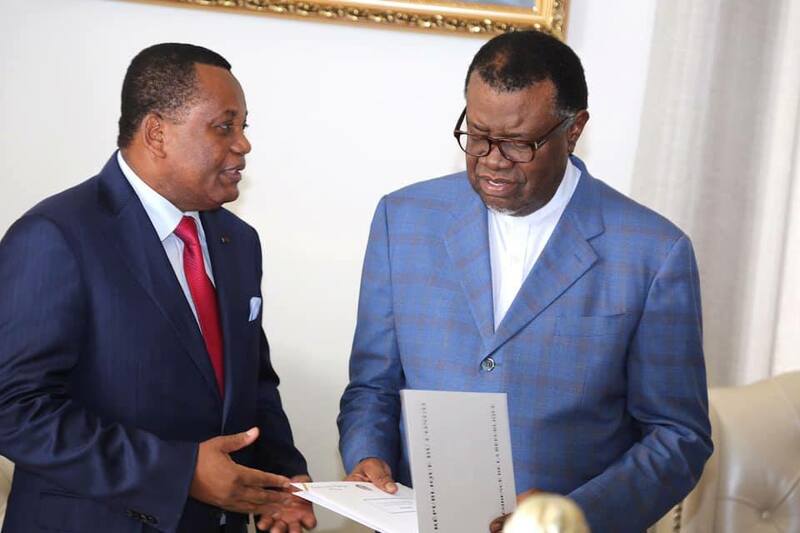 During the meeting at Statehouse on Sunday, President Geingob reminded the special envoy that the DRC is vital for development in the sub-region, and said that problems don’t have borders, and challenges in one country will affect neighbouring countries. President Geingob has already departed for the special summit in Brazzaville and according the Namibian Presidency, is set to return this evening.